Yup, I have not finished it. Ive barely started it. According to my project page on ravelry for The One with the Banner , the last update was May 27th 2017. The one with the banner in all its awesomeness… with cat hair and a few spots to fix. The Plan: Since Ive already watched all 10 seasons of the show recently and do not want to watch again so soon, my idea is to watch other tv shows and movies that the cast has been in while making the blanket. Ive already seen just about everything that the main cast has been in but I am willing (lol ) to re-re-re-re watch their movies again. My search sites are Netflix and Hulu. Maybe I will find new movies. For Jennifer Aniston I found Cake. Movie on Nexflix that I havent seen . on Hulu I found and episode of Saturday Night live and episode of 30rock. Courtney Cox I found Mothers and Daughters (havent seen) and 3000 miles to Graceland on Netflix. And of course I do need to catch up on Cougar Town which is on Hulu. Lisa Kudrow is in one of my all time favorite movies Romy and Michelle’s High School Reunion. That will definitely be watched since I own the DVD. Matt Leblanc’s show Episodes is on Netflix so I may check that out and Man with a Plan is on CBS… another maybe. Matthew Perry is my fave so Almost Heros, Fools Rush In and The Odd Couple will be re watched. David Schwimmer is a tough one to find a movie for on hulu or Netflix. All I could find was The People vs O.J. Simpson and The Iceman on netflix. The Iceman will likely be watched over the O.J movie. Another place I can find movies for this cast….the library!!! DUH!! But that will be a last resort. It finally happened. After a few years after the release I have the desire to make the Sophie’s Universe Blanket. I am sorta a fan of big projects. I like the projects I can make in separate pieces and sew together. This is not one of those big projects. Its does take a lot of yarn and time. Which I have both of. I took some time to choose my colors. I really love one of the sample blankets on Dedri Uys’s website ( link opens a new window). Which is her first photo on her ravelry page. The turquoise is so dominant . It really catches the eye. ( its one of my favorite colors). I changed out the canary for Caron’s Cream, but basically kept the rest in the same color family. I think I will be changing a few colors as I go . I want to make this a mostly purple blanket. Another color that sticks out to me are the pinks. I am not a fan of pink. So I want to work in the purples in the big areas and switch them with the pinks for the smaller areas. The sample blanket I am following (colors only) is Dedri’s small . I am using worsted weight yarn . Red Heart Yarn, Studio Stitches by Nicole and Caron one pound. This is also part of my stash slim down for A year of Projects ( on ravelry ) and a quarterly big project for the same group. 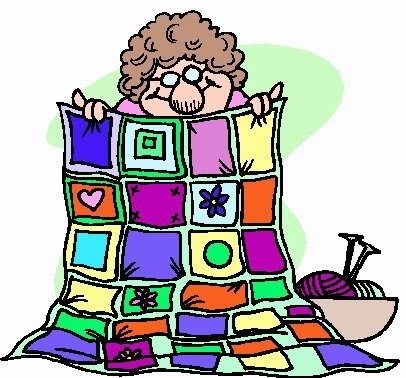 I decided not to do the teaching crochet Crochet Corner , Instead I will be having a month long CAL (Crochet A Long ) and teach any stitches I need to. I have so many hat orders and personal items I have to get done, the CAL seems like a better idea.